We all want to do better for ourselves and nothing truer said when it comes to money. NO, it doesn’t guarantee happiness, but what it does give you is freedom and lots of choices. Now, you might not think that matters much, but try paying the mortgage or a holiday without cash and you’ll soon see what happens and how you’ll feel! If you work for an employer then, that’s fine and you may be well paid, but there’ll be a ceiling too how much you can earn and you’ll be under their time and probably paid by the hour. If you’re self-employed then, you’re usually paid by results and how much you earn depends on you. Just because someone works 50 hours a week in a well-paid salaried job doesn’t mean they’ll earn more than a person who’s self-employed and only works 25 hours per week. The key is to work hard at the start of your online marketing journey, find out what works well for you and rinse and repeat the process creating a few healthy online income streams. 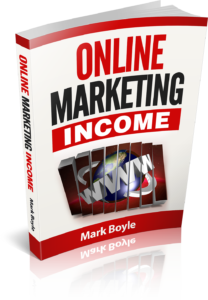 So what is my online marketing income manual about? It involves a clear plan on how to make a decent income online via product affiliation and the promoting of tangible items. 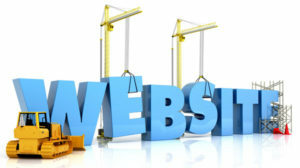 This is by way of having your own website (hosting and domain name) and getting from most from places including the Amazon and Affiliate Window marketplace and how to collate all of your programs together and use Skimlinks. This enables you create unique links and be able to monitor each campaign with ease using their excellent range of free tools. I also have video tutorials for each methodology I cover and more. Not only do you get the above, but I also offer unlimited email assistance via my private and domain email address for added peace of mind. And if that wasn’t enough I also have unlimited Skype sessions, so if you have a question and/or run in to any money making problems there’s a visual aspect to the money making process. The folk who will benefit most from this eBook are either people who are quite new to the online marketplace or people who have come up against a brick wall with their efforts and wanting new direction. The initial aim is for you to devote at least 10 hours per week as a part time project and research the relevant products which meet the criteria in the niche areas you like or have an interest in. Write 400+ review articles on suitable products (if you don’t like writing articles, you can get them done for you at a low cost) and publish them for Google indexing. 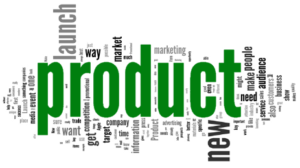 The aim is always for page one on Google for a specific keyword phrase for each and every product. What you get from that is highly targeted traffic and potential sales with a high ticket price. If you can or a willing to do the following then, the targets on the table below will be very easy to achieve. Devote 10+ hours per week to your online tasks. Choose specific niche areas with high ticket prices. Rinse and repeat the process for a steady flow of affiliate commissions. It’s difficult in coming up with a suitable price but I settled for $49. This is based on my online experience to date which is 7+ years, what the information and videos should do for you and the added assistance I provide. I’m also give a 60 day money back guarantee with this product in that, if you don’t start making money after 2 months using my approach then, I’ll give you a full refund and you’ll also be able to keep the manual FOC. You now get your hands on this excellent manual for just $19. I’m not going to show you pictures of flash cars and/or expensive mansions, as I don’t have these things and basically live within my means. There are marketing folk who have gone to the extent of hiring a posh home with nice cars and a film crew giving you the impression that’s what you could have if you follow their plan. These things are usually full of BS and the only one who is going to do well is the vendor. What I won’t do is make false promises and this does require work on your part, in terms of picking suitable niches, writing articles (optional) and sending targeted traffic towards your affiliate review articles. The aim is to start making or adding £100 per month within 60 to 90 days. This is highly achievable even with just 10 hours per week, as I’m only an email or Skype contact away in order to maximise your earning potential. You won’t get rich with this as a standalone product, but what it can do for you is give you a healthy boost to your income and if you put in the hours and effort then, four figures per month is achievable after 12 to 18 months of applying this specific approach. Think about it this way, if someone said for a one off price of less than £50 you can start earning added online income within a few weeks and then earning £100+ per month after 60-90 days, what would you do? You would bite their hand off and that’s basically what I’m offering.